Soundwave Pendant - Circle | Gifts for her | Soundwave Pendants™ | Soundwave Art™ - Turn your voice or sound into art! Soundwave Art offers quality, custom jewelry. 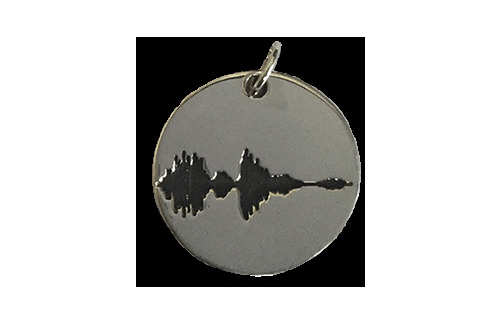 Our Soundwave pendants allow you to record your voice and have it engraved making a truly unique gift.